Oh, Laini. I know I’ve said this before, but I think I just might have to say it again: You’re magical. The words you write are so pretty and your stories are imaginative, fantastical, and emotional and I love them! Even when they’re short. And guys? The stories in LIPS TOUCH: THREE TIMES all lived up to my expectations of Laini Taylor’s writing and her ability to evoke FEELINGS in her readers. Yay! 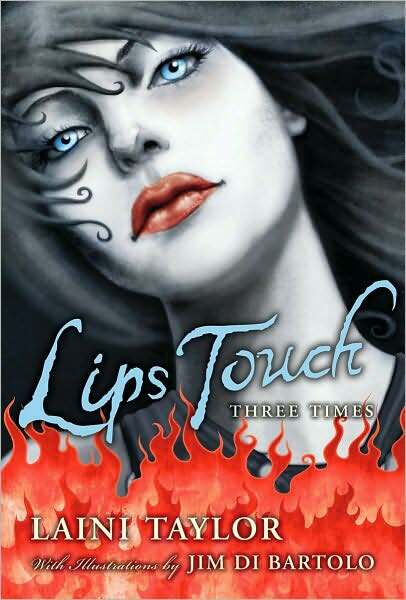 LIPS TOUCH: THREE TIMES is a collection of three novellas that all feature some important turn of events involving a kiss (hence the “lips touching” part). Obviously, this is fantastic. But I actually really enjoyed the fact that Laini Taylor is so good at creating the whole picture of a story that the kisses–to varying degrees–don’t overshadow anything. In fact, the elements from these stories that I recall with greatest clarity and that I enjoyed the most aren’t necessarily the kisses at all. So on that note, into the breech! The first story in this collection is called “Goblin Fruit,” and it’s good. It’s the shortest of the three, and probably on the whole, my least favorite, although that doesn’t mean it’s bad. Not so. It’s about a young girl named Kizzy who’s family is majorly superstitious. They believe in the old ways, which involves lots of things but most important for this story is their belief in goblins, and the fact that the only way a goblin can steal a girl’s soul is for her to give it up willingly in a kiss. Perhaps you might be able to determine where this story goes without me saying anything else. It’s a good story, though, and I enjoyed reading about Kizzy’s family’s old-world superstitions. The second story in LIPS TOUCH: THREE TIMES by Laini Taylor is called “Spicy Little Curses” and it takes place in post-WWI British India. Seriously, can we have more of this please?! The setting is lush and gorgeous and, as in “Goblin Fruit,” this story relies heavily on beliefs and superstitions. It’s about an old woman who is an ambassador to hell who must deal with a demon to save the lives of children on Earth (the demon saves the kiddos and she gives him the name of a baddie instead). One time, though, the old woman makes a deal with the demon to save a bunch of children and in return she must curse the daughter of a British diplomat. It’s BAD. Obviously, it also involves a kiss, but that comes later. This story was gorgeous and perfectly contained; I didn’t feel like anything was missing when it was finished. There was drama and love and, OF COURSE, elegant writing. SO PRETTY. At this point, I’m going to interrupt MY little flow here to say that I thought LIPS TOUCH: THREE TIMES by Laini Taylor had a flow, too, and it went something like this: The first story–good, short, and the lightest in tone of the three; the second story–better, longer, and darker, what with the terms of the curse being what they were; the third story–the BEST and the LONGEST and the darkest, as well. In my opinion, of course, in terms of the “good, better, best” thing. So, now you know that I thought the third story, “Hatchling” was the best and it was definitely my favorite. 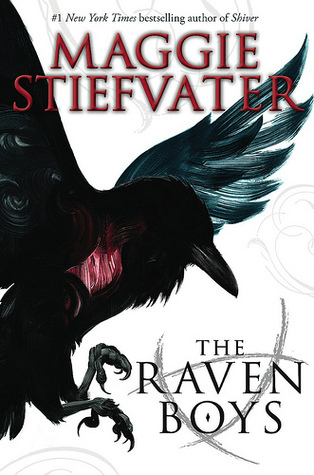 You guys, I would read a whole book about this incredibly vivid, imaginative world with a totally unique mythology, and I think it definitely benefited from getting the most air time, as it were. But for real: “Hatchling” was so gorgeous, so fraught, and so absorbing that I wanted it to keep going. It MADE the entire book, for me. “Hatchling” is about a young girl, Esme, and her mother, Mab (NOT the faerie queen), who find themselves on the run from these wolves after Esme wakes up one morning with one of her brown eyes blue. The wolves serve the Druj queen (the Druj are these soulless, immortal…I don’t even know what to call them, except to say that they aren’t vampires. Just plain demons, perhaps? ), and she is a BEYOTCH. Which is fun to read, obviously. Shenanigans ensue. We get LOTS of back story about Mab, who spent some time with the Queen in her youth. These parts were STUNNING, guys. The descriptions of life in the Queen’s citadel were stark and beautiful, and I LOVED the mythology. And the way this whole story comes together I thought was genius, and so satisfying. *Sigh*. Esme was a great character, and I REALLY loved Mihai, this conflicted, unique Druj with a connection to the Queen. This one story is reason enough to pick up LIPS TOUCH: THREE TIMES, guys. It’s seriously LEGIT. 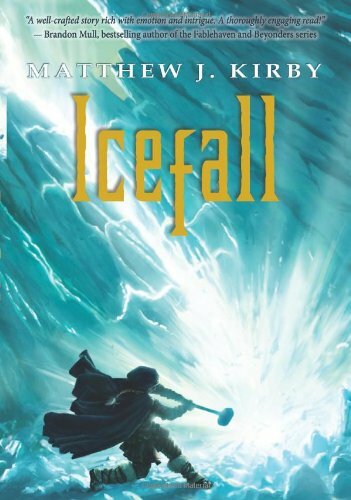 Aside from the gorgeous writing and the FEELINGS and the creative world-building, this book has some absolutely stunning, beautiful, jaw-dropping images by Jim Di Bartolo. Guys, these pictures are out of this world. There are several panels that accompany each story and they’re all exceptional. It almost makes me wish that Laini Taylor had teamed up with her husband to write LIPS TOUCH: THREE TIMES as a graphic novel. They were AMAZING. So, final assessment: I really enjoyed LIPS TOUCH: THREE TIMES. The stories were all unique, emotional, gorgeously written urban fantasies that got steadily better as the book progressed. As always, Laini Taylor spins some KILLER yarns, friends. If she hadn’t become one of my instant-read authors after I finished DAUGHTER OF SMOKE AND BONE, Laini Taylor would certainly be one now. I can’t wait to read ALL OF HER WORDS. Perhaps it’s not too much of a secret that I LOVE all things Arthurian. I read books about Camelot and the Arthurian legends, I’m PLANNING on reading MORE books about it, and I fangirl the TV show, Merlin. 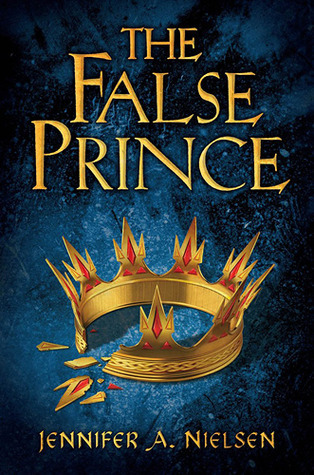 I love how Arthurian stories straddle the line between historical fiction and fantasy with their elements of magic and politics, and I’m on a mission to find a book about this world that knocks my socks right off my feet. 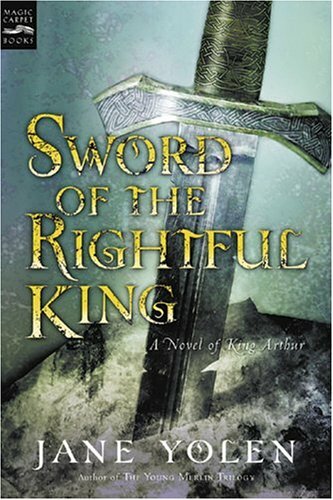 I had high hopes for SWORD OF THE RIGHTFUL KING, and while it was fun and scratched my Arthur-nerd itch, it kind of let me down, and left me a little confused about what little I DO know of the Arthurian legends. I’ll start with the good things about this book. It really was fun to read. I’m currently REALLY nerding out over Merlin, so it was incredibly enjoyable to see lots of those characters in a different light. (Also, because who would not want to picture Arthur like this, or Gawaine like this?) But I love the characters in this story: Arthur and his brave chivalry, Merlinnus (Although, why the extra “nus”? This drove me a little batty) and his sneaky, secretive magic. We meet Gwen but not in the way you might think. Morgause is vindictive and power-hungry, which makes for great drama. In fact, she was probably my favorite character because she seemed the most fleshed out. All very good things. Also, the story moved quickly. Things happened without much lagging at all, and the whole sword in the stone “legerdemain” (UGH!) was actually really great, probably because it was the storyline that seemed to be the most developed, what with Arthur demanding that all of his knights attempt to pull out the sword before he does. PLUS, we get to see some of the actual business of the knights meeting at the Round Table, and that was very cool. That’s such a foundational part of the whole Arthurian legend, and it was fun to imagine it in action. But despite those things–or maybe BECAUSE of those things–the story also felt a little scattered to me, like hopping from one thing to the next without much smoothness. The reveals of certain things were kind of predictable, like the deelio with Gwen and the identity of the spy. (Speaking of Gwen, an aspect of her storyline here felt incredibly rushed, and I wished that we could have seen it fleshed out a little more.) And I was slightly confused about the ages of people, although this could certainly come from my perception of these characters as their Merlin counterparts: Arthur is a young man, but Merlinnus is VERY old. Gwen is young also, but Lancelot is described as having some gray hair. I don’t know. I’m not an expert, but some of the details like this didn’t jive with the way I thought the legends went. We are also introduced to some things that would have been REALLY interesting to pursue (for example, when Lancelot goes to attempt to remove the sword, he actually kind of pulls it out a little bit. With magic? Don’t know. But I think that could have been a juicy little plotline), but are kind of just left hanging, leaving us hoping for a little more detail. This happens quite a bit, actually, although I have to say that the legends themselves are so rich and so varied that you could write HUGE books about Arthur and Camelot (called Cadbury here. Not sure why, but I dig it because it reminds me of Cadbury chocolate) and still not delve into every detail or examine every thread of the story. It’s something good AND bad about Arthurian legend.